Begin 2017 kreeg ik een email van de Amerikaanse auteur Adam Bray. 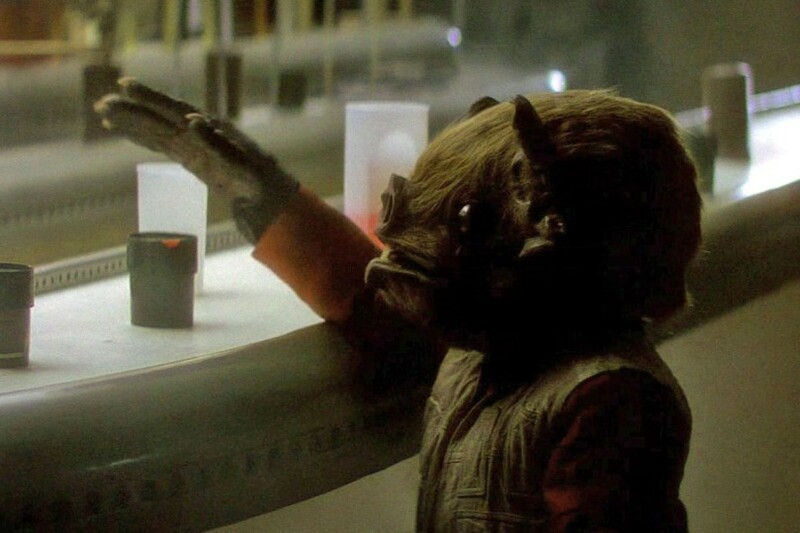 De afgelopen jaren heeft Adam diverse Star Wars naslagwerken geschreven waarvan Ultimate Star Wars een van de bekendste is. Hij mailde me dat hij met een officieel naslagwerk over Stormtroopers bezig en vroeg of hij enkele door mij afgenomen interviews voor dit boek mocht gebruiken. Een enorme eer daar ik nu in het boek Stormtroopers Beyond the Armor vermeld sta! Het contact bleef en een interview kon uiteraard niet uitblijven! Hi Adam! You have written quite a few Star Wars books over the years. How did you enter the Star Wars book world? I started out as a travel guide author. I contributed to about 40 books on travel in Southeast Asia. I also wrote freelance for media outlets like CNN, BBC Travel and National Geographic. I was living in Vietnam and Cambodia at the time. One of the many travel publishers I wrote for was DK, who also published a lot of great Star Wars books. So when I came back to the USA and had plenty of publishing experience already under my belt, I inquired if DK needed any new writers for their licensing department (the decision that handles Star Wars, Marvel and other franchises). I just happened to ask at the right time, after Disney bought Lucasfilm and there were plenty of new opportunities. 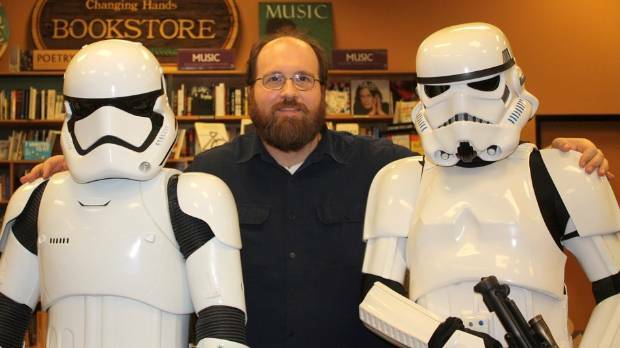 Your latest Star Wars book –which you wrote with Ryder Windham-, is called Stormtroopers Beyond the Armor. How and when were you asked to write this book? We actually started working on the book a month or two before The Force Awakens hit theaters. It’s the longest I’ve ever been involved with a book—about two years, on and off. Ryder had already written a similar book—The Complete Vader—so he was a natural choice. The executive editor for Lucasfilm at the time, Jonathan Rinzler, recommended me for the book as well. I’ve reviewed the book and it’s fantastic. I gave it 5 stars because it’s so complete and it can be regarded as the ultimate Stormtrooper book. Since Ryder Windham did a similar book about Darth Vader which you just mentioned I was thinking maybe you could do a book about, say, Yoda, Han Solo or Luke Skywalker…? Thank you so much! Yes, I’d love to do another book in this format. It would have to be a central character that has had a lot of focus over the decades, in order for there to be enough material. So maybe Luke or Han, Leia or the 2 droids? Much of it was over the internet or using my own personal library of books and magazines. I tried to interview as many people as I could make contact with. Social media is great for that kind of thing these days. Due to the secrecy surrounding new Disney projects though, I didn’t have access to the workshops or anyone working on recent or future films—unless I already had a personal connection to them. What were the biggest difficulties you encountered while writing the book? I would have loved to spend time on the new film sets or visited the workshops in London and George Lucas’s archives myself, and had unlimited access to talk with folks currently working on the new movies. But with these kinds of projects there are always limitations, and the key is to figure out how to work around them. So a lot of my research, apart from what was available to me in print, involved using the internet to figure out how to get in touch with people. How long did it take to get the book finished? It was two years from start to finish, but I would take several months off here and there to work on other things. With large books like this, they must be reviewed by my editors and then the folks at Lucasfilm, so there is a lot of back-and-forth and the book goes through several stages of revisions. Much more so than other in-universe reference books that I’ve written. Also I had to wait for things to be released, like Rebels season 3 and Rogue One, in order to actually see them for myself and then write about them. You have written quite a few Star Wars books, including a lot of LEGO books which are aimed at younger readers. Which type of books do you prefer? And what are the biggest differences in writing children’s books and reference books? When I write children’s books I try not to write down to kids. I think that’s important when communicating with kids, to speak to them intelligently. I also try to make the books interesting enough that an adult would enjoy reading them too. This isn’t so hard for the 8-12yrs old range that I most often write for. I just have to simplify my vocabulary and sentence structures. One of the tricks about those books—particularly the ones I write for DK—is that there will be a bunch of boxes on the page with 30-50 words in each box. Writing page spreads (2 facing pages) is like building a puzzle, where each box fits together and the topics in each box flow naturally from one to another. Each box has to tell something different yet closely related, without repeating information. I also try to hide little “Easter Eggs” (secrets that tie into or enlighten some obscure information) for readers who know Star Wars very well. This makes the books both fun and challenging for me to write. With a book like Stormtroopers: Beyond the Armor however, I’m writing a behind-the-scenes book for adults. With a book like this, I’m free to use a much more sophisticated vocabulary and discuss complex ideas, which is very refreshing! Contrary to popular belief though, it’s not more difficult to write one or the other—books for adults vs books for kids—each has their own challenges. I really enjoy writing behind-the-scenes books though. I’m fascinated by the history of all these movies, and the whole movie-making process in general. When it comes to movies made by George Lucas or another favorite director—Peter Jackson—I’m sure I’ve watched the behind the scenes features on the DVDs more than even the films themselves! I’d really like to be writing making-of books for future Star Wars and Indiana Jones movies, as well as franchises at other studios. Suppose you could pick your next Star Wars assignment, what kind of book would you like to do? I’d be very happy to write a Marvel or IDW comic book, or contribute to an anthology of short stories. That’s actually how I got my start as an author—contributing to an anthology. As I mentioned, writing a behind-the-scenes book that keeps me on a film set and in the studios would be great too! Besides Star Wars books you have contributed to over 40 books on travel in Southeast Asia. Now that’s something different! Could you tell something about this unusual combination? Travel guides, like many of the Star Wars books I’ve written, are all essentially reference books. With an ideal travel guide assignment, the budget and deadline should allow the writer to visit most of the places they write about, investigating them first hand and doing on-site research. I loved writing travel books. I spent all my free time exploring ancient temple ruins in the jungle, visiting remote ethnic minority villages, searching for endangered wildlife in national parks, researching extinct civilizations, trying strange new foods and just having fun with lots of new and unusual experiences. Whenever I had a free weekend I would pick a spot on the map in Vietnam or Cambodia that I’d never explored and hop on my motorbike and have some grand adventure. I do miss that. Though to be honest I wasn’t getting paid to do it—it was always on my own time and at my own expense, with the hope that I could use something from the experience to write about later. Sometimes I could use information or photos I gathered in future guidebooks or airlines magazine articles, a blog post or a piece I’d write later for some news media outlet. One of the frustrating things I found about the travel writing niche in general though, is that the more I became an expert on my favorite things, the less I was able to use that information in assignments. Travel writing tends to focus on general information applicable to the average reader. Editors want stories about things that most readers can actually go do themselves, or at least imagine doing themselves, in theory. I however, liked to do the kind of things that few people would ever dare to try—like eating rats, sleeping in malaria-infested hiltribe villages, or dodging vipers in crumbling temple ruins! 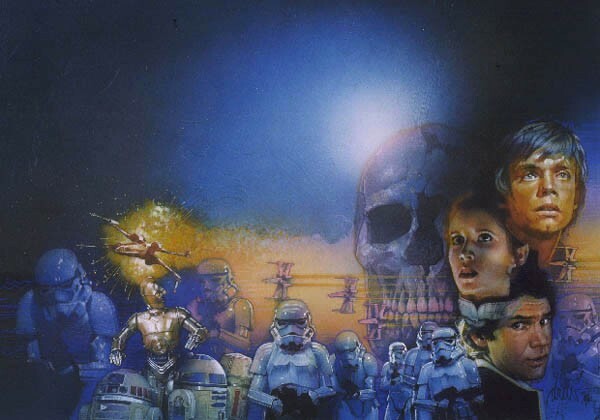 Do you have new Star Wars books in the works? An exclusive scoop is always welcome of course! I do have new Star Wars and Marvel books coming next year… but I’m afraid that’s about all I can say right now! Follow me on Twitter and Facebook for announcements about my upcoming books: @AuthorAdamBray.